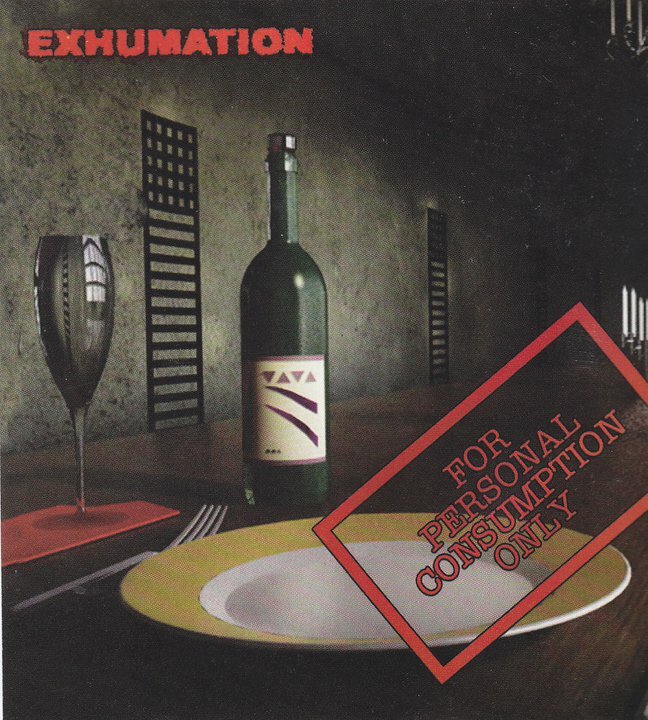 Exhumation’s For Personal Consumption Only (2006) | Mehta Kya Kehta? As the title suggests, this record was created entirely for our satisfaction. We’ve moved a few more steps away from the cliches as is evident from the artwork which is free of blood and gore and is still related to the musical content and says everything it needs to. Tired of trying to come up with an “original” logo, we’ve decided to stick with a simple font. Having a legible logo seems pretty original for this genre, haha. On The Platter is a blend of classical and death metal because we have an ear for different styles of music and were keen on mixing some. There are no vocals on With My Bare Hands because they came out sounding forced. 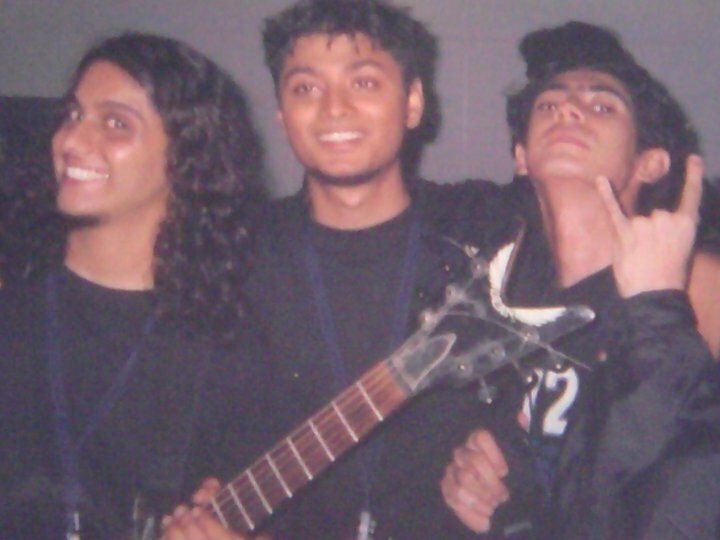 It is an awesome musical piece by Prashant, which would only be ruined by the addition of vocals. We’re extremely proud of this record and know that we’ll have something to sit and gloat about when we’re old, bald and impotent. CLICK HERE TO DOWNLOAD EXHUMATION’S ‘FOR PERSONAL CONSUMPTION ONLY’ CLICK HERE FOR LYRICS TO TANDOORI CHICK This is the story of a vegetarian cannibal. An animal lover who has a craving for human flesh. A sophisticated young man who is fond of the good things in life gives up eating animals when he realizes that he has no reason to hurt them. The taste of flesh strong in his mind, he also realizes that he feels nothing for the human race and builds a house in a deserted area where he can work on his culinary skills. An ethical fellow, he has an eye for good-looking women and a fondness for eating gluteal muscles. Beautiful young girls who lose their way in the woods are welcomed to spend time in his spacious living room, only to be marinated and pushed inside a tandoor. Ugly women are fortunate to not get eaten due to his superficial nature, they are hacked and left to rot in the basement with other decomposing corpses which were not consumed because of their dull looks. Attractive full-bodied women who are charmed by his ways get invited to dinner with the promise of a night of lust, only to end up on skewers and as human sizzlers, their desires unfulfilled. Enjoying a life of isolation with literature, music and the dead for company, he waits for pretty victims to come his way so he can try out new recipes … for personal consumption only. 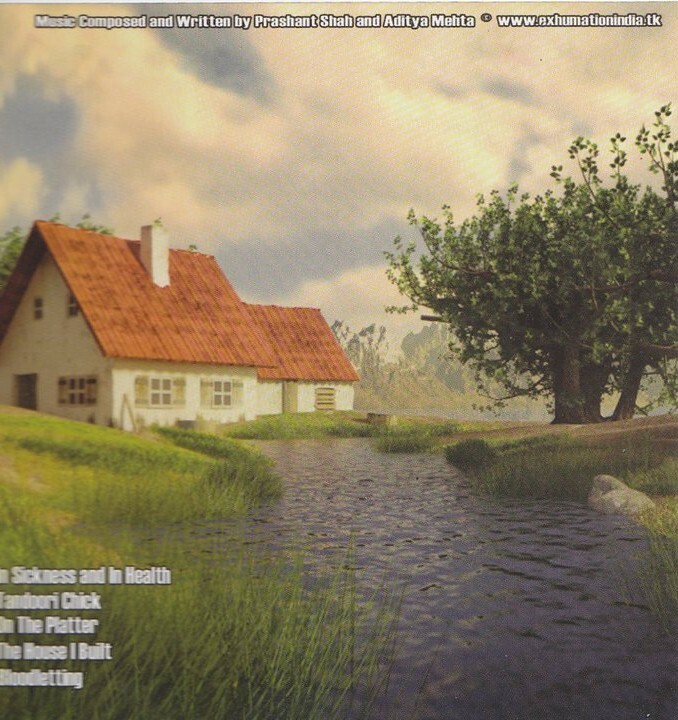 Whatever happened to http://www.exhumation.tk? Wasn’t the frontpage a pic of all of you looking down?